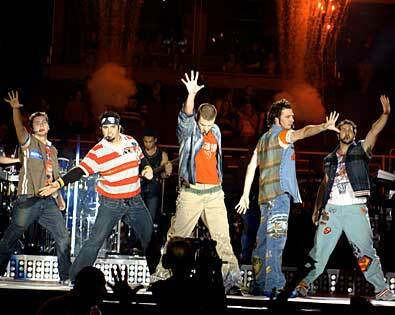 C’mon, admit it, you love you some N’ Sync, don’t ya? The other day I was listening to some bubblegum pop music on the radio. It’s upbeat, catchy music that makes me move, smile, sing along, and look insane while driving. It may be sappy, but it sure makes me happy! Nothing overly analytical about it, it is what it is: straight forward goodness that does its job well with a predictable song structure in two and a half minutes. I can’t listen to it all day, but it definitely has a special place in my audio library. (And heaven knows I would never burn as many calories on the elliptical without it). The same thing applies to certain wines. Every wine lover can fondly recollect wines that grabbed their attention and subsequently went down in history as all-time favorites. These are the wines you rave about to your friends, and they like them so much they immediately tell their friends, and so on and so forth. I can’t count how many times I have recommended this wine to both friends and strangers who were looking for something great yet affordable to drink. Columbia Winery Cellarmaster’s Riesling Columbia Valley is that wine. Sweet, not dry, with fruit and honey notes. Perfect for when you need to satisfy your sweet tooth. This is the ideal wine to introduce to someone who perhaps has never tried wine before or who prefers sweet wines. It’s even fun to spring on a wine connoisseur and have them try pairing it with the recommended “strong cheeses, desserts, or extremely spicy foods.” And it’s well under $10 at most Washington grocery stores. According to their website, “Columbia Winery is Washington’s first premium winery, producing distinctive Washington wines from European vinifera grapes since 1962.” They introduced “new varietals to the state, such as Syrah, Cabernet Franc, and Pinot Gris.” As you can see, they have been making wine in Washington for a long time and really know their stuff. Some seasoned oenophiles may lose their preference for Riesling as their palates develop. They might shrug their shoulders, quickly write one off as just another sweet Riesling, and channel surf in search of something more complex and compelling. Again, I don’t expect you to agree with me on every wine; taste for yourself and be your own judge. But I think even the most opinionated will fall for this sweet, delicious Riesling. It is a special bundle of great taste, affordability, and “shareability.” Even if we hate to admit it, the reason we like things like Riesling and pop music is because deep down, they hit the spot.